The 777 Happy Times Game Room in League City has been shut down and three people have been indicted by a Galveston County Grand Jury in connection with its operation. Co-owner Kien Quoc Tran, 30, of Houston, who was charged with Money Laundering and with Engaging in Organized Criminal Activity; Employee Amanda Gayle Givens, 34, of Santa Fe, who was charged with Engaging in Organized Criminal Activity; Employee Nhut Minh Do, 36, of Houston, also charged with Engaging in Organized Criminal Activity. 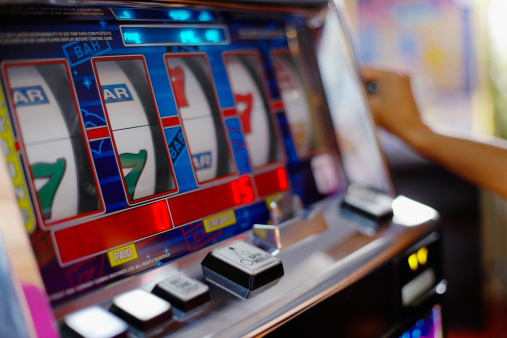 League City Police said the charges were filed after its Community Impact Unit (CIU) received information about an illegal gambling operation and investigated. The CIU is a proactive investigative unit that mobilizes for strategic enforcement within the League City community, Matt Maggiolino of the police department explained a press release. The investigation led to a search warrant of the Game Room at 501 S. Gulf Freeway that was served on Oct. 8 and yielded information for indictments along with significant seizures, police said. The indictments were handed down Nov. 19. The seizure yielded more than $14,000, 72 eight-liner electronic gaming machines, and numerous electronic devices including computers and tablets, police said. The 777 Happy Times Game Room remains closed at this time. This operation was called successful due to the partnership between the LCPD and Galveston County District Attorney’s Office.